Not Getting the Traffic You Want? Do you have a website that just isn’t seeing the results you want or getting the traffic from Google you’d expect? Through NichePursuits.com, Long Tail Pro, and courses I’ve created, I’ve worked with hundreds of website creators struggling with the same problem. You wake up anxious because you are going to check your analytics even though you know your traffic hasn’t gotten any better since yesterday. The worst thing is you don’t know why you aren’t getting any traffic. Where is the Google love!? 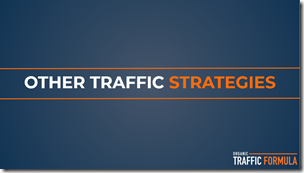 You don’t understand why your traffic isn’t growing. You do the work, write the articles, use the right plug-ins, do keyword research, but never see an increase in traffic. Inside Organic Traffic Formula, I’m going to show you exactly what has worked for me. I spent YEARS trying different strategies that didn’t get me the I wanted. Now I’ve discovered what works on a regular basis, let me share with you my organic traffic system for building profitable websites. Did you know that 70% of all organic traffic that comes from Google results from Long tail keywords? At first, I spent fruitless years trying to rank in Google for terms that were competitive, got high search volume, or keywords that I thought for sure would bring in the big bucks. On the surface, it made sense. If I could tap the vein of those big numbers, I thought I would make cool cash day in and day out. When I finally stopped letting the dollar signs blind me, I was able to adjust my strategy. I shifted my focus to trying to rank for small terms that were easy to rank on the first page of Google. I started to get a trickle of traffic, then lots of trickles. These trickles quickly added up to a massive flow of traffic. In a short period I had enough Google traffic to make me $10,000 a month from Google Adsense alone. I’ve been doing this for years. I’ve built hundreds of successful sites. I know one key thing. Traffic isn’t something you luck into. You have to have a plan and the ability to execute a systematic approach. In order to scale my little operation I knew I needed to build a system I and others I hired could follow that targeted these long tail keywords and drove loads of organic traffic from Google. I created a system to do that, and it worked. The thing that excited me about my strategies was that it could be applied to just about ANY type of online business to rank in Google and get that highly coveted organic traffic. As a result, I’ve now built several successful businesses outside of just niche site thanks to organic traffic from Google. These businesses include a well-known blog, a SaaS company, and an eCommerce business. How do websites get traffic? Gain immediate access to the 7 in-depth video training modules taught by Spencer, Jake, and Jason. (The full list of all the videos is above). 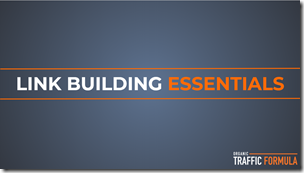 These videos go beyond just theory, and include live examples and everything else you need to build, rank, and make money from your site. You’ll gain access to my standard operating procedures so that you can know exactly what to do when it’s time to implement what you’ve learned. Follow these yourself, or turn them over to an employee or Virtual Assistant to implement. The downloadable PDFs and checklists will keep you on task and remind you of what’s important to see the biggest results. 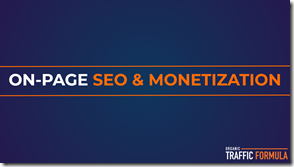 I’ve developed a special formula for keywords that you get access to when you join. 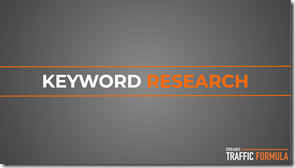 The keyword spreadsheet will allow you to know exactly what keywords are worth going after. This keyword scoring spreadsheet will virtually guarantee that you are selecting the same types of keywords that I would personally choose. The Content Scoring spreadsheet is also a simple step by step process that you can use to ensure that your content is high quality and includes all the elements it needs to rank well in Google. 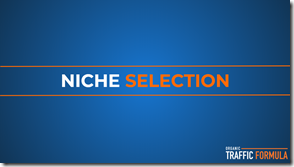 Follow along with this never before revealed niche site case study as I share the actual URL of one of my sites that I’ve built over the past couple of years. This site does extremely well in Google and can act as a template to follow as you build out your own organic traffic powered website. 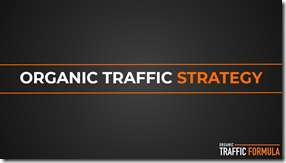 Think you might have a few additional questions after joining Organic Traffic Formula? The alumni led private Facebook group is a great place to ask those questions. Other member’s that have joined Organic Traffic Formula will be there to answer your questions and keep you motivated as you build your site. You’ll also have a chance to connect and network with like-minded entrepreneurs in this group. When you join today, you don’t just get access to version 1.0 or 2.0, you get access to all future updates and modules that may come out in the coming years. Once a member, always a member! If there are changes in the SEO landscape, you’ll get access to the future videos and training that we add to Organic Traffic Formula.